Hunsicker’s second and third points derive from a fundamental failure to grasp the dialectical theological concept of paradoxical identity, which I have written about at some length in various places. TL:DR = the divine is wholly other than the human (paradox), but they are nonobjectifiably identical in – and only in – the event of encounter. Taking this identity as a matter of course that is true in a way that is abstracted from the event serves only to objectify it. For example, in his second point Hunsicker raises the question of the church’s liturgical forms, suggesting that Gollwitzer approximates Hauerwas by saying that “the church’s political agency is located in its liturgy.” The difference between Hauerwas and Gollwitzer is that Gollwitzer doesn’t think that this gives the church’s traditional liturgy any privileged status. It is one creaturely factor among others, and is not in itself more or less conducive as the context of encounter with God than any other creaturely factor. Yes, “there is real human agency” (so Hunsicker). But it is never the case that one bit of human agency is privileged over another bit. Thinking that such privilege exists is the definition of objectification. This, of course, has implications for Hunsicker’s third point about Gollwitzer’s presumed lack of christology. This was a criticism made against Golli in his own lifetime, along with criticisms that he was insufficiently trinitarian. Yes, his sermons on Luke (and some other writings) fill in the christological picture a bit. Yes, it is ultimately the case that Golli took much of Barth’s dogmatics “as read,” as it were, without being interested in repeating it or trying to develop it further (although with a great deal of interest in putting it to practical use). But ultimately the issue once again is paradoxical identity. Yes, there is diastasis between Creator and creature (paradox), and yes this diastasis is overcome (identity). The incarnation does not mean, however, that it is overcome in some permanent and general sense. That’s an objectifying claim. Instead, the diastasis is overcome – paradoxical identity occurs – in the event of encounter and only in that event. Thus, the important thing is not that the creaturely existence of a 1st century Palestinian Jew somehow becomes straightforwardly identical with God. That would be a form of idolatry that Barth called Jesusolatry. One encounters God in the proclamation of the resurrected Jesus Christ, and in that event there occurs a paradoxical identity between the proclamation of that 1st century Palestinian Jew and the God of Abraham, Isaac, and Jacob. But we have the exact same theological relationship to that identity today as the disciples / apostles had (although they have a very different historical relationship). The paradox remains, even with reference to Jesus’s humanity and certainly with reference to any of the church’s earthly-historical forms. The identity occurs only in the event of encounter. And to objectify that event is to betray the gospel. "Thus, the important thing is not that the creaturely existence of a 1st century Palestinian Jew somehow becomes straightforwardly identical with God. That would be a form of idolatry that Barth called Jesusolatry. One encounters God in the proclamation of the resurrected Jesus Christ, and in that event there occurs a paradoxical identity between the proclamation of that 1st century Palestinian Jew and the God of Abraham, Isaac, and Jacob." I'm wondering if Barth would really identify your first statement here as "Jesusolatry." (And I'm talking about the Barth especially of the Dogmatics, from I/2 onward. But then maybe you're coming from a more early-Barth standpoint.) Of course, the phrase "straightforwardly identical" gives you some wiggle room and, yes, I'd agree that Barth doesn't conceive Jesus the man as identical with God in a simplistically univocal way. But, it seems to me, "paradoxically identical" doesn't quite get at the way Barth negotiates Jesus' identity as the Son, by means of a critical reworking of the extra Calvinisticum, categories from Chalcedon, and the humiliation/exaltation schema of earlier Reformed thinkers. Whatever one makes of these conceptual resources (and whether or not they're relatively adequate to the truth of the thing), I'm fairly sure that Barth doesn't read them as paradoxes. Certainly, I wouldn't say Barth would back away from the contemporaneity of the risen Christ -- which you tie to the event of proclamation. But I don't think he'd do so with any backing down from the claim for the incarnation as a once-for-all event. The instance of Barth saying "Jesusology" that I'm thinking of comes from CD 1.2. Barth isn't easy to understand on divine and human agency because folks try to wedge his thought into traditional vs. categories that he explodes (just like his doctrine of election doesn't fit the traditional Arminian vs. Calvinist debate). "Paradoxical identity" is my way of describing the position that I find operative especially throughout CD 4. I write about this in my first book and elsewhere. That said, Barth isn't always entirely consistent and doesn't always show his work. George Hunsinger also argues with me about whether "paradoxical" is the right word (sometimes suggesting "dialectical" instead, which is fine), so you're in good company. But it emphasizes the point that I think needs emphasizing. Sure, you can say that the incarnation is a once-for-all event, but what does that mean? This is an issue in Barth interpretation constantly: people assume that they know what terms mean and forget the rather extensive background work that Barth does elsewhere as implicit framing. To say from a dialectical theological frame of reference that Christ is a once-for-all event is not to say that it is somehow permanent and persistent in a generally accessible way. The only way that you can make that claim is on the basis of the event of encounter, and it's an attempt to articulate Jesus's priority in that event. We have to look to the event in order to understand where the language functions fittingly and where it doesn't. Oh, one last thing: Barth isn't always consistent with his best dialectical theological insights. See Congdon's tome. Your points are well taken. Of course, as I'm sure you've picked up in our convos, I'm certainly informed and influenced by Prof. Hunsinger's reading of Barth's Christology. But I'm not going to gun hard Barth's consistency. And yes, Congdon does a fine job of raising questions about Barth's consistency (among other things) And yes, I'm sure I might need to reread the relevant passages in the CD with more attention to the subtle (and "dialectical") Barth might be mobilizing these appropriations of tradition. But what Barth wrote (or should have written) notwithstanding, I'll try to say (briefly) what I think the mystery of the Incarnation, at least, means. It means affirming that this man Jesus, who walked the earth 2,000 years or so ago, was most definitely a Jewish Palestinian living under Roman rule, who had a very bizarre and not at all self-evident take on the apocalyptic inbreaking of the rule of God; who (to be somewhat anachronistic) embodied a praxis that looks suspiciously like Communism on spiritual steroids; and who was executed as an insurgent -- this guy, in some way that I absolutely am incapable of explaining, just was (and is) personally, "ontologically," and in the flesh, the second mode of being of the infinite and invisible Creator and Redeemer of the world. And he's not here in precisely that same form anymore (though we could raise the issue of mediations, such as the sacraments or the proclamatory event you mention). The mode of his "generally accessible" presence we tend to call the Holy Spirit. And -- absolutely you're right -- this mode of his accessibility is not to be taken for granted. Christ's coming is always a matter of divine freedom and grace. But the same God who is free to be pro me in the moment, in the here and now for you or me or anyone is equally free to have been present in a particular, unique, and unrepeatable way in the days of King Herod and Pontius Pilate. That, at any rate, is what I take the mystery of the incarnation to mean. And my hunch is that what Barth is driving at -- in his own, sometimes torturous and circuitous way. But I know others read him differently. Now the claim that I can only make any of these statements on the basis of a present encounter may very well be true. But I think it confuses the order of knowing and being to say that just because I can only "know" God in Christ through such an encounter, that this encounter is the one and only way God can *be* in Christ. I could find ways to affirm your account (Mark 12:34!). The issue is the order of being / knowing point. You can say what you want about being coming before knowing, but that's pretty meaningless for my money. It's a Schrödinger's cat sort of issue. Consequently, I'm tempted to view such claims as objectifications. All that matters is the decision of faith, but that only happens in the event of faith (and is paradoxically identical with it). Saying that "God was in Christ reconciling the world to himself" carries an implied "I believe that" prefix and is meaningless as some sort of general / abstract statement about "being." Ah, but I don't think I was making a generic ontological statement. Or at least I wasn't trying to. What I was trying to suggest (awkwardly, I'm sure) was that I resist what seems to me to be a move to identity the presence of God in Christ with the event of faith in which that presence is disclosed to me (or to anyone). Maybe this would help: I recall many years ago reading Tillich's claim -- I think it's probably ST 2, but I'd have to check -- that Jesus would not have been the Christ had he not been *recognized* as such (this was in relation to Peter's confession at Caesaria Philippi, I think). The point, I think, was something close to what I think you're suggesting: The Messiahship of Jesus just is a moment of disclosure in which the new being is manifest to (or perhaps better, in) the one who has faith, such that to talk about Jesus as the Christ apart from this encounter or appropriation would be a meaningless abstraction. I get the point: The claim that Jesus is the Christ is strictly a faith claim and isn't demonstrable on any other basis. And the point of the incarnation couldn't certainly not be anything less than revelation. I get that. Still, I decided eventually that Tillich wasn't right about this, and it was a pretty decisive point in my earlier development. I'd be as bold as to claim (on the basis of the confession of faith) that Jesus *is* the Christ, whether anyone ever acknowledges it or not. And I think one way I'd answer the objections I anticipate from some dialectical theologians would be to say that Jesus is the Christ, not only for those of us who acknowledge this (and how adequately could we even know what it means, anyway?) but for all people, whether they acknowledge it or not. I'd go so far as to say that if Jesus isn't the Christ for the agnostic, the orthodox Muslim, the Buddhist, or anyone else, he isn't the Christ for me. And I'm aware of the many problems such a claim poses, not the least being in inter-faith relationships. But I can't see anyway around this scandal, and the totalizing character of what the early church affirmed when they named Jesus not only as the Messiah of Israel but as the Kyrios of all creation. Now might say such language is objectifying. But I counter that *all* theological language is objectifying, orthodox and revisionist, apophatic and cataphatic, dialectical and positive. All of it. It is advantageous for one's theological method to build in a recognition of the tenuous and fragmentary and inadequate character of all God talk, and DT has a set of rhetorical strategies for doing this -- not the only ones on offer, but certainly salutary ones, if they're used well. But I maintain it is no less (or more) objectifying to say something like "Jesus is the Christ in the existential encounter or event of faith" than it is to say "the Word was made flesh and dwelt among us," or "the Son is homoousious with the Father." If the God proclaimed by faith is real, this God is free to be present to the human mind (somehow) through the broken vessels of human language and concepts -- provided, of course, that such knowledge never becomes "given" in the sense that precludes its always being "gift." One might follow Calvin and call this accommodation. Apologies for my prolixity. Insomnia only seems to make it worse. But maybe we're just at loggerheads on these points. Scott, I think I mostly agree with you, both on the issue of Barth interpretation and the objectifying nature of theology. Regarding Barth, I would agree that Barth sees Jesus as the Christ independent of faith's acknowledgment. The ontological identity is real regardless of the subjective human reception. So you're right to distinguish Barth from Tillich on this point. Barth himself does indeed establish an ontic order as the basis for the subsequent noetic order (see esp. IV/1-2): the ontological reality of God's reconciliation in Christ requires the human act of faith as its correlate. Barth's preferred language is not paradoxical identity but rather analogy, so there is an analogy between the second person of the Trinity and the man Jesus, and then another analogy between Jesus and the faithful believer. The use of analogy language is inherently ambiguous, which works in Barth's favor, allowing him at times to establish a priority of one over the other while at other times speaking as if they coincide in the event. 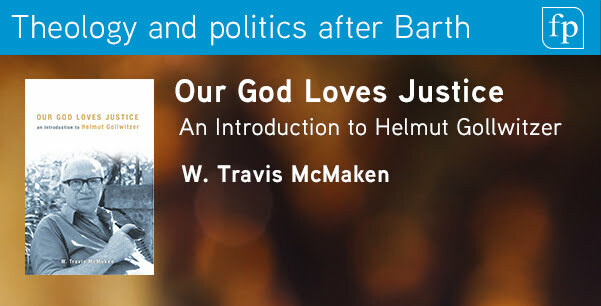 Travis is smoothing this out in the direction of the simultaneity and in this way bridging the divide between Barth and Bultmann that Jüngel analyzes in God's Beings Is in Becoming. Now, having said all that, Travis's point still stands that, when we speak of Jesus as the Christ -- when we engage in meaningful God-talk -- we do so only out of the event of encounter with Christ. Barth of course knows this well, but he believes it is both right and necessary to abstract from this event of encounter and posit the underlying ontological basis for it, namely, God's self-identification with the man Jesus. Travis, following a reconstructed DT that he and I both share, brings the ontological basis and the epistemological moment into paradoxical identity. This means that he and I insist on speaking about Jesus as the Christ in terms of the present event of encounter. So whereas Barth would absolutely insist that Jesus is the Christ before and apart from faith's encounter and response, Travis and I think that trying to isolate the being from the knowing is inherently problematic. All of this goes back to the two different kinds of correlation that I analyze in chapter 4 of my tome. Both Barth and Bultmann establish a correlation between the ontological reality and the epistemological act of knowing that reality. The difference is that Barth, in a Hegelian way, speculatively absolutizes this correlation and locates it in the being of God itself, so that the human person's faith is already actualized in eternity "before" one believes in time. Our faith is real in God, because Jesus believes on our behalf and his humanity exists in eternity in anticipation of its realization in time. Bultmann rejects this kind of speculative correlation and insists on a historicized correlation that exists in the present-tense moment of faith. I take it that Travis and I basically follow Bultmann here and correct Barth in the direction of Bultmann. As for the issue of objectification, I agree entirely that all theology is objectifying. Bultmann himself makes this argument in "What Does It Mean to Speak of God?" where he concludes by saying that all theology is sin and whether the sin of theology will be justified by God is something only God can judge. That being said, I think we can differentiate between two kinds of objectifying: (1) First, there is the objectifying that is inherent to language as such, insofar as God-talk remains on the creaturely side of the Creator-creature divide; but (2) second, there is the objectifying that follows from making theological claims that contradict or violate, in some way, the nonobjectifying norm of the kerygma in a way that is not inherent to language but due to an inappropriate mode of speaking. Myth is an example of the latter. It may have been culturally necessary to speak in terms of ancient myth, but it is no longer necessary today, though we may lapse into other mythological modes of speaking that require critique. I would argue, and Travis may agree with me, that Barth frequently lapses into this second, mythological mode of objectifying God-talk in his later dogmatics, and he does so in a misguided effort to combat Bultmann's existential theology, which he wrongly takes to be in violation of his theological norms. I'm more willing than Travis is to let Barth be wrong in this regard and not bother with making Barth more consistent with himself, but we agree on what Barth ought to have said, normatively speaking. I would clarify that the issue is not only a question of following Bultmann against inconsistencies in the later Barth, but also of following the early Barth against inconsistencies in the later Barth. Thanks, David. Insightful and clarifying as always. I won't quibble with your reading of Barth, or the various Barths, and the Barth-Bultmann relationship, which, at any rate, is your specialty (or one of them). I do imagine, though, he'd not be happy with your characterization that he has to "abstract" the ontological divine sonship from the revelatory event, as this reality just is the content of revelation (or part of it) -- though, of course, we can only approach this theologically by means of analogy. Nor I imagine would he care to concede he is "isolating" Jesus' personal identity from the noetic event of disclosure. I need to take another look at your 4th chapter and ruminate more on the shape of Barth's Hegelian interventions in the doctrine of God and, especially, vis-a-vis the subjective-objective unity of revelation. The real rub is in your second set of comments, re objectification. I take your sub-point no. 1 to be fairly non-controversial among the three of us -- and among responsible theologians more broadly. The interesting questions hinge upon point 2, re the nature of myth, the propriety and scope of demythologization, and the sorts of norms inherent in or entailed by the character of the kerygma itself. These form the heart of the debate between those who would follow more closely Bultmann (and the early Barth) versus those who adhere more to the understanding in Barth's later dogmatics. And I think you'd agree with me (yes?) that there is a real impasse and possibly irreconcilable difference of constructive commitment at stake, quite apart from Barth's vexing misreadings Bultmann (which you demonstrate quite well). I suppose I might raise questions about the relationship between myth and analogy. If one concedes the propriety of using analogical statements or images as a fallible but relatively adequate means of conveying ontological truth (a point, I take it, you probably would not concede without some heavy qualifications), might this propriety of analogy be extended to certain statements, concepts, or narratives that Bultmann (and you) might class as analogical? Since I recall that the notion of objectification is analytically ingredient in your operative definition of myth to begin with, this line of inquiry might be a non-starter, from within your own constructive framework at least. Another line of inquiry might dig into the character of dogmatic statements -- e.g., in the early ecumenical creeds and councils -- and the propriety of classifying them as "mythological" (and thus inappropriately objectifying) to begin with. Tracing that out would require putting forward a genetic-historical account of how this doctrinal language developed, how it related negatively or positively to non-Christian worldviews and philosophical commitments in the ancient world. and so forth. To put it more simply: If one concedes your central arguments about myth and doctrines and how they relate to the kergyma, then the unapologetically realist view of the Incarnation I sketched in my earlier comments would likely not stand. So the rub would be trying to answer those central arguments, if one can. Thanks for the very quick reply. As I suggested, those were definitely first impressions. (1) No, I don't suspect you would be interested in the Yoder project; but I found myself wondering if the similarities that resonated throughout the theology and politics chapters are simply another instance of the types of similarities some people see between Bonhoeffer and Yoder, or whether there is something really interesting and new here. I actually wonder if Yoder find more affinity with your/Gollwitzer's ecclesiology. To the extent that classical mennonite ecclesiology is more Zwinglian, I suspect that there are at least some stronger affinities with ecclesiologies that clearly distinguish the human agency from the divine. The fusion of Yoder with Lindbeck tends to occur in Hauerwas when he exemplifies mennonites as a way to be an alternative culture. (2) The Paradoxical Identity explanation really helps with the christology questions, but I'm still not quite satisfied about ecclesiology. At the end of the day what makes the church the church for Gollwitzer? Is it purely the event? If so, why did you slip Calvin's marks into your church chapter. This at least hints that there are human practices that are consistently and historically performed in anticipation of the event, indeed with the promise that (at least sometimes) God will meet us in them. What I like about Gollwitzer is that he asserts ecclesial political agency without trying to use the Holy Spirit to justify that it is really the church's participation in divine action (I'm thinking about Moltmann here). I always worry that this allows the church to simply claim God's endorsement for its own activity. What worries me about the overall project is that it feels very much like a push towards "religionless Christianity." I don't want to collapse Christianity into the church; but I want to say, with the magisterial reformers, that the church's earthly-historical existence is significant. There is good work to be done, and that good work is the work that we've been given by God to glorify God. The church must always be a church under judgment (and that stands as a judgment on religion), but it cannot cease to be the church, a community gathered around the practices of the preaching of the gospel and the administration of the sacraments (oh, and maybe discipline too). Thanks, David. I put Calvin in there as an illustration for how Gollwitzer's position comes out of and builds on the Reformational ecclesiological tradition. You'll note, though, that I added some emphasis to Calvin - it's the hearing that is important, not just the preaching, because that is the site of the event. There's a parallel here to how Barth thinks about scripture. So the point is not that there are certain forms that are somehow theologically inviolable. Yes, it is a push toward religionless Christianity, or even secular Christianity, or even Christian atheism. Gollwitzer read's Bonhoeffer's idea of religionless Christianity as a political impulse; hence Gollwitzer's own focus on the church as a political event. Yes, the church's earthly-historical form is significant insofar as it is the location where there has been explicit response to the event of encounter. But none of that earthly-historical form is thereby divinized or made more inherently suitable as a site for the event than anything else. It's just that the church is where folks (hopefully) self-consciously try to structure their lives in response to that event. But this event of encounter also occurs outside the church and folks also respond to it in diverse ways, without necessarily being conscious of it or attaching the name "Jesus" to anything. And for my money, the church is only gathered around those practices in a practical / historical sense: i.e., that's what they have traditionally gotten out of bed on Sunday mornings for. Theologically speaking, the church is exists only in and as the event. You are right that Barth would reject the language of "abstract from." That's almost a curse word in his vocabulary. But it's interesting that Barth uses this language to refer to talk about the event as something purely worldly and ignoring its basis in God. So, for instance, he says: "If we were to abstract from God, and to look only to the created world and the possibilities and realities effective within it, we should have to say that the history of Jesus Christ comes from nowhere and has no basis. It would then be contingent in the strictest sense" (IV/3, 225). When Barth looks backwards from the present encounter to its ontological basis in God's being, he does not speak of abstracting but of witness or analogy, since to do so is inherently positive and necessary, and the language of abstracting is pejorative in his ears. So Barth and I are speaking about the same theological activity, but merely using different language. So when Barth says that "the whole being and life of God is an activity, both in eternity and in worldly time, both in Himself as Father, Son and Holy Spirit, and in His relation to man and all creation" (IV/1, 7), and when he speaks of the one as the "great prius" and the other as the worldly "posterius" (IV/3, 227), he is engaging in what I would call an abstracting from the event to its eternal, ontological origin, but you could also just call this Barth's use of the transcendental argument from actuality to its condition of possibility. Same difference in the end. As for the relation between the ontic and the noetic, Barth's position is, as I said with respect to correlationism, one that includes the noetic in the ontic already. Take Barth's discussion of Christ's role as prophet, in which he says that Christ's witness is self-witness since he is in himself both the giver and recipient of the prophetic act: "He does not need to look or point beyond himself to attest the fulfilment of the covenant, the executed judgment, the realised promise, the present glory of God and salvation of humanity, the kingdom of God come on earth. In relation to all these things, he cannot abstract from himself. The actualization of his own life is coincident with them. In form and content his witness can only be self-witness" (IV/3, 51). There are plenty of other quotes like this. The discussion of faith's necessity in IV/1 fits within this framework as well. So by "isolate" I simply mean that we can talk about the Christ-event as having significance for all people independent of their particular encounters with him, something you also affirm regarding Christ being Christ for atheists and agnostics. I don't disagree with this at all, but I would simply argue for it by other means. Regarding objectification, I'm not sure if there's really an impasse here. Bultmann, you may recall from my tome, affirms analogy as part of what he means by demythologizing. (By the way, did you mean to say "might this propriety of analogy be extended to certain statements, concepts, or narratives that Bultmann (and you) might class as mythological"?) The issue is always what grounds our analogical God-talk. I refer you to my essay, "Demystifying the Program of Demythologizing," where I explain Bultmann's position in detail. The point is that, for Bultmann, analogical God-talk has to start from human existence as determined and confronted by Jesus Christ. It is out of that soteriological, existential encounter that analogical God-talk becomes possible and meaningful. By contrast, any God-talk that does not arise out of that encounter is objectifying. That would include, for instance, creedal statements that purport to state reality in the form of fixed, ostensibly factual propositions. I'm not sure there is conflict between Barth and Bultmann on this particular point. Barth feels the need to actualize (i.e., demythologize) christology as well. The difference between them is not over whether demythologizing is necessary but over the starting point for responsible God-talk: Barth ultimate posits a protological event that includes humanity in the abstract, whereas Bultmann posits an eschatological event that includes human persons in their present concrete historicity. This leads to different dogmatic formulations, but either way requires a demythologizing of classical God-talk. The major difference in Bultmann methodologically -- and this is where I think he makes a significant advance over Barth -- is the way his demythologizing incorporates an awareness of the cultural conditions of our God-talk. It's not enough to examine whether our God-talk bears witness to the Christ-event; one also has to examine the cultural and historical context of our God-talk to see whether our language remains adequate to the task. Barth dismisses this as a matter of merely "practical" concern and thinks we can do dogmatics without regard for this question. Bultmann thinks this is hermeneutically naive, and I agree with him. Right David (Congdon, that is). I meant "mythological," not "analogical." You've convinced me that Bultmann was right to take the hermeneutical question -- the issue of cultural and historical location -- seriously in a way that Barth was unprepared to do. I should like to retain something like Barth's protological starting point, Bultmann's existential midpoint, and an eschatological-redemptive endpoint that might require going beyond both Barth and Bultmann. You've convinced me that all authentic theological discourse arises from or points toward existential engagement with the kerygma. I would hope it's possible, as a further move, to show this existential dimension might extend also to confessional statements, theological propositions, and other second-order forms of discourse -- and without detriment to their objective character. But maybe that's a convo for another day.